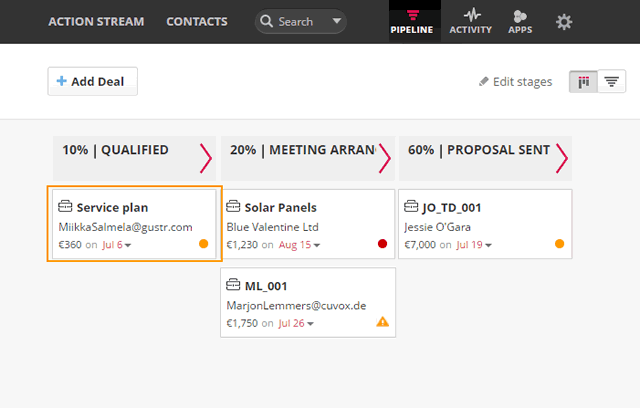 Your Pipeline gives you a summary of all of the deals in your OnePageCRM account. You can chose the Forecast view or the Kanban view. 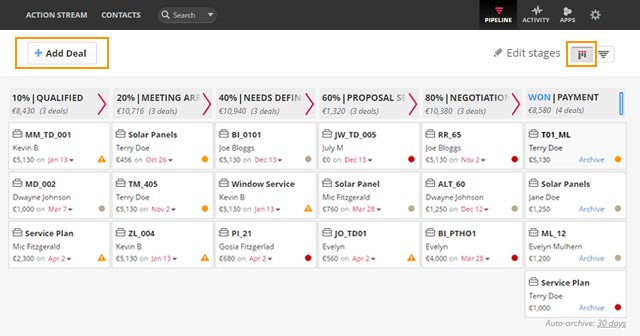 Click on the Kanban view icon → select Add Deal. 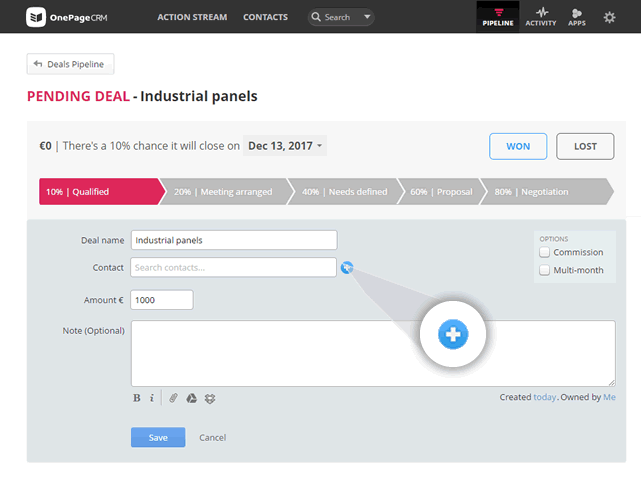 Enter the details of your deal such as Deal name, Contact, Amount, any custom fields you've created and a Note (optional). To add a contact that does not already exist in your account, click on the + icon → add the contacts details → Save. Click on your selected deal to open it. 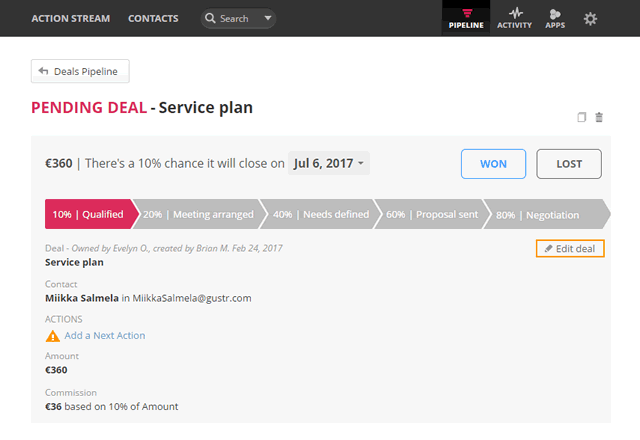 Once opened, select Edit deal to edit details such as Deal name, Amount, Commission, any custom fields you've created or a Note. Note: You cannot edit the contact associated with the deal. In the contact view → click on Add a Next Action. Add Next Action text, select a date → Save. In the Deal view, click on the Clone icon. To delete a deal, click on the bin icon. 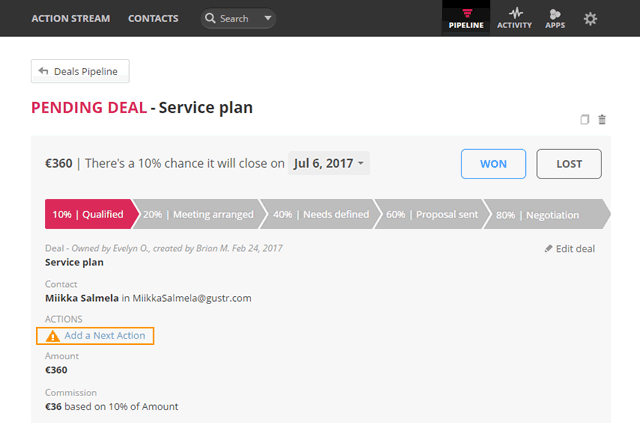 If a Next Action already exists for a deal, you can't edit or add another Next Action. There is an option to 'Drag and drop' attachments into the note section of the deal. 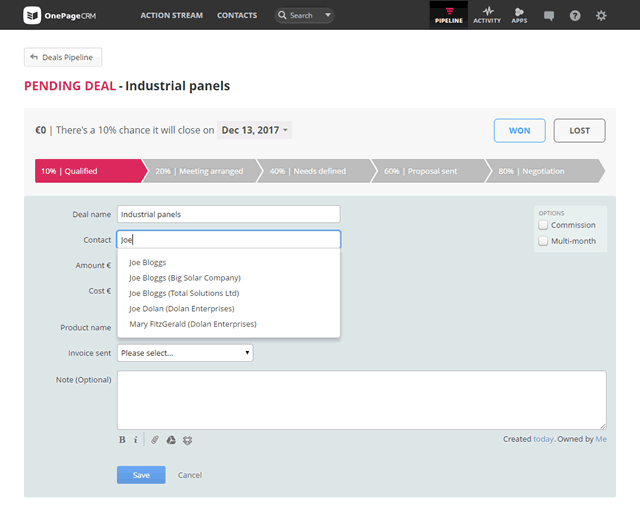 A cloned deal will inherit details such as Deal name, Amount, Custom fields and Notes. 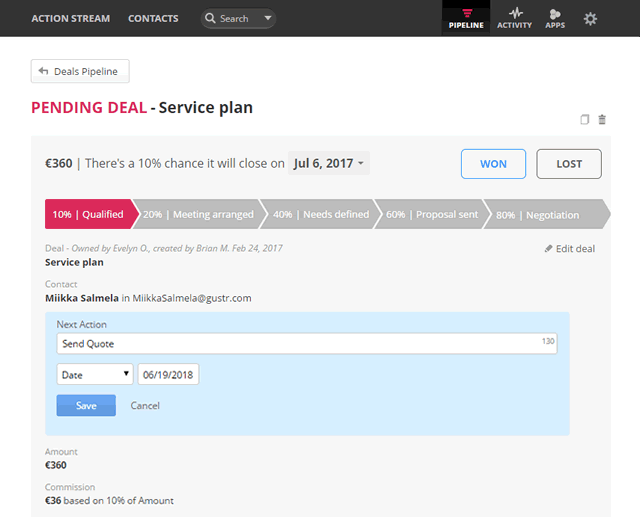 Contact will not be copied to the new deal.